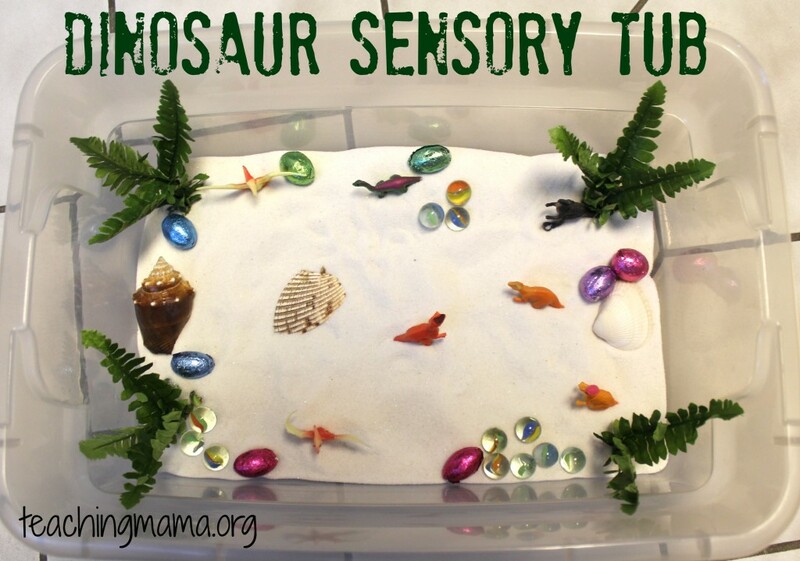 We created a fun dinosaur sensory tub! 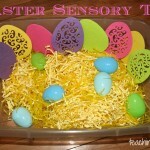 In this tub we used sand, small dinosaurs, fake plants, shells, marbles, and candy eggs. 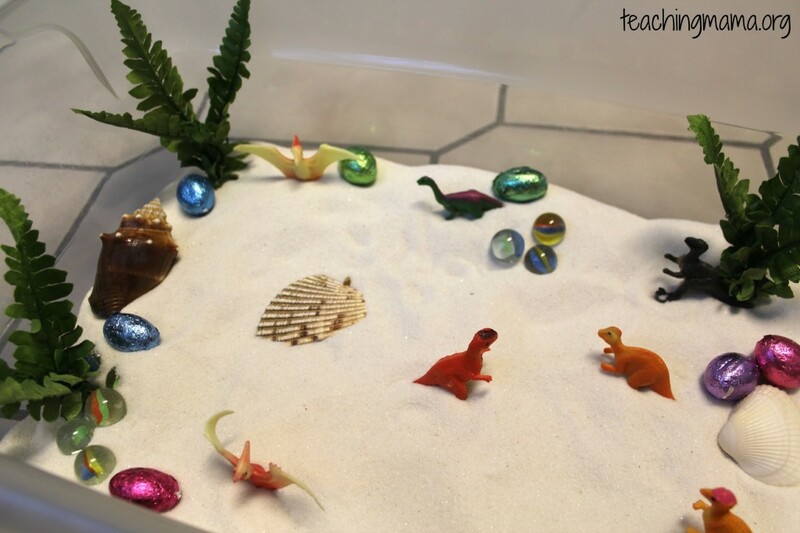 The marbles and candy represented dinosaur eggs. 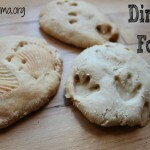 I shared with Troy that dinosaur eggs didn’t all look the same–some were round or oval shaped. 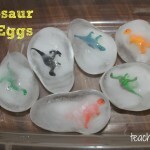 We also talked about how the dinosaur parents (mostly dads) watched the eggs and made sure predators didn’t take them. They would sit on top of them to protect them. 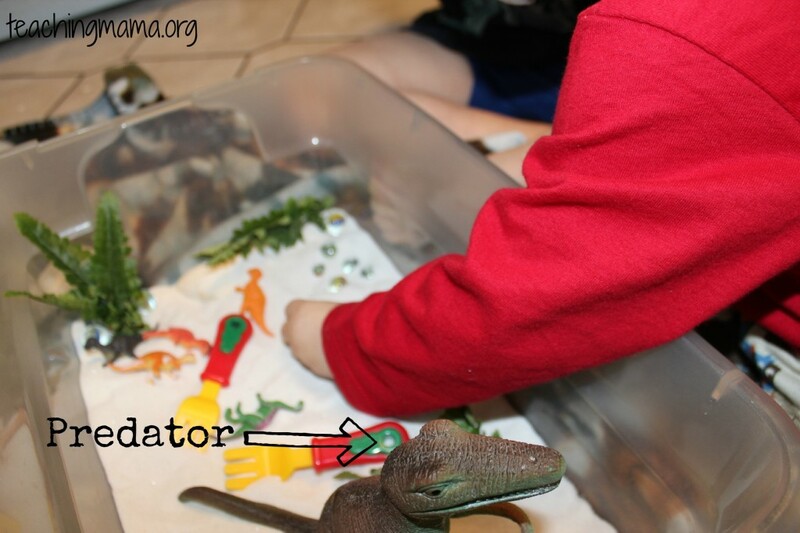 Dinosaurs laid eggs in clusters, which is why they are displayed this way in the sensory tub. 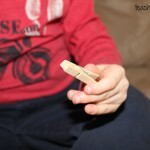 I only shared a few facts about dinosaurs with Troy, since he’s only 3 and I didn’t want to overwhelm him with facts. 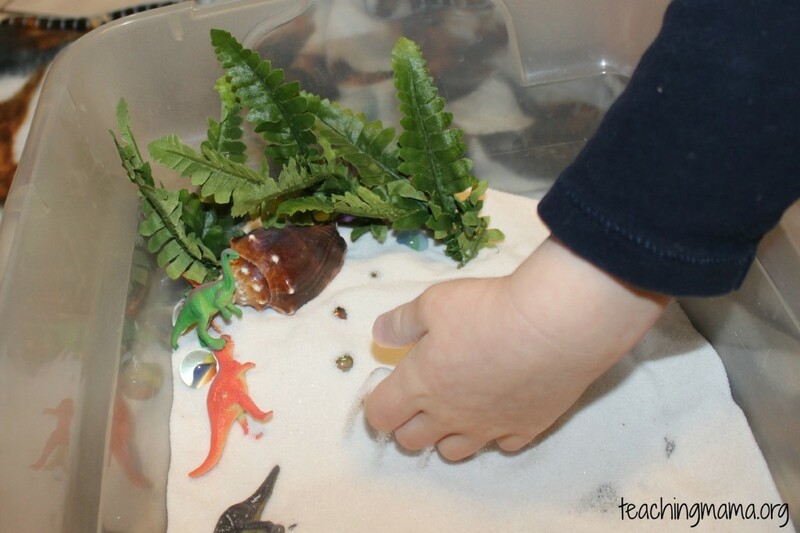 They loved playing with the fine sand. 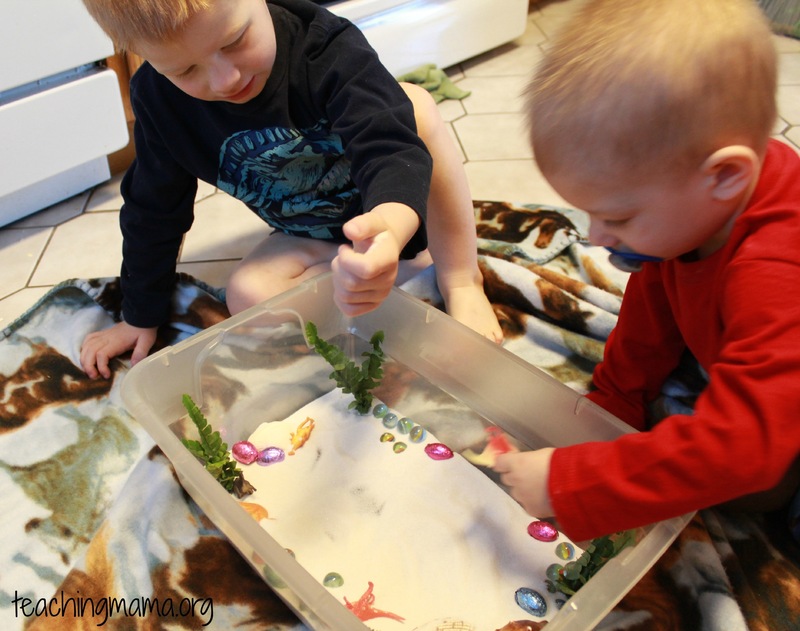 We haven’t used this material for a sensory tub yet, so running their fingers through the sand was a new experience. I found the sand at Walmart in the craft section, but you could use any type of sand. Troy decided to make a nest and hide all the eggs from our predator! 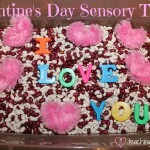 I love watching them play with sensory tubs. 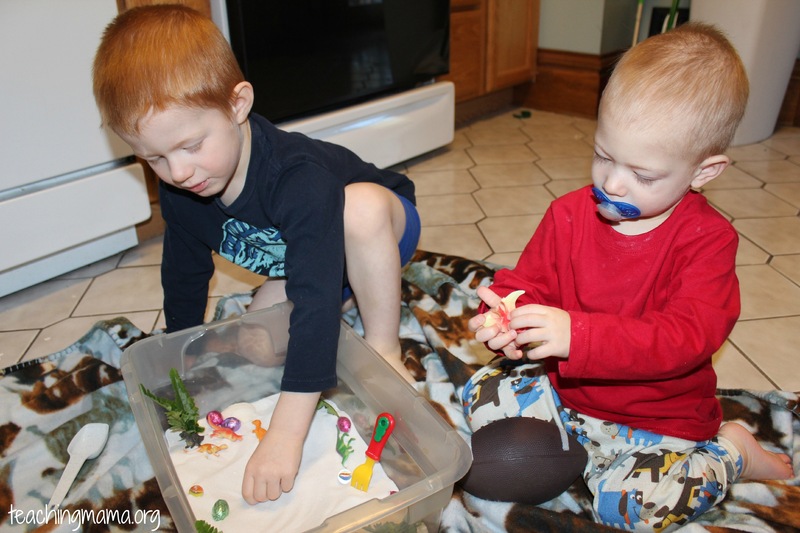 Not only do they get to play, but they can explore different materials and use imaginary play. Have a great day! Oh bummer! I must’ve bought really strong water balloons (they are from Walmart). 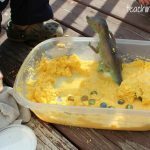 I just stretched the balloon with my fingers and dropped the dino in. Kinda hard to explain in writing! Hope that helps.